The title says it all. 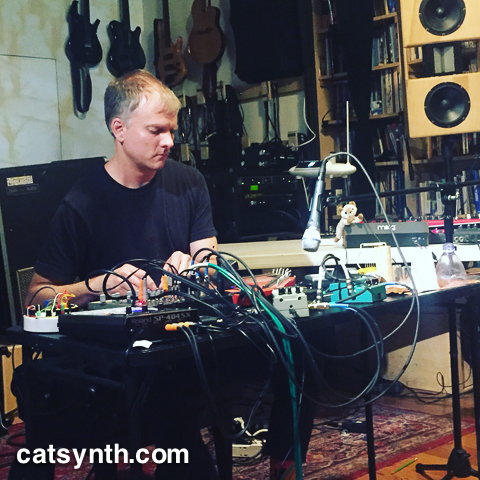 Two laser-eye cats with modular and tabletop synthesizers by Elektron and Arturia. From blush_response via Instagram. Ambient-Chaos is back with it’s May edition. Acts: Load in is at 6:30pm, 30 minute sets. 7:30 pm sharp start time! 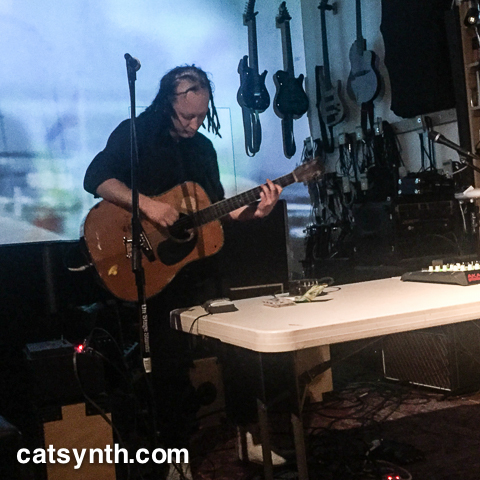 Live video by Jim Tuite! Acts in the order below. 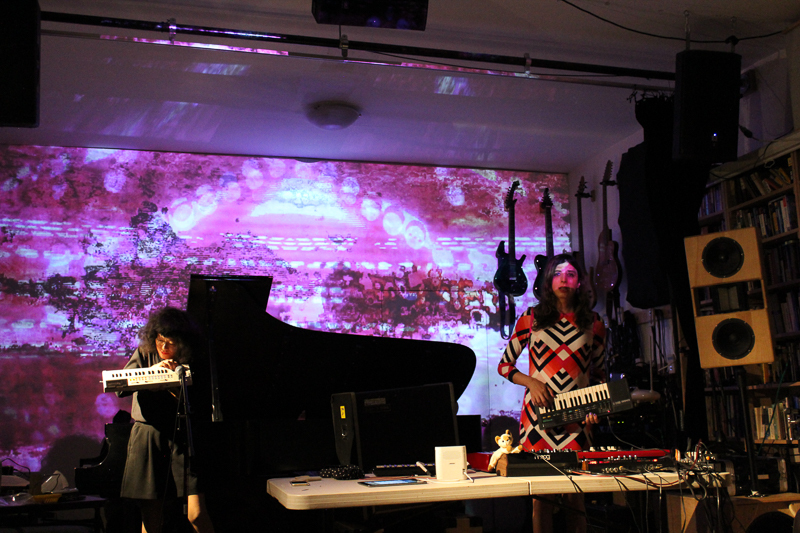 Tania Chen is a pianist, experimental musician, free improviser and sound artist, working with pianos, keyboards, found objects, toys and vintage and lo-fi electronics. 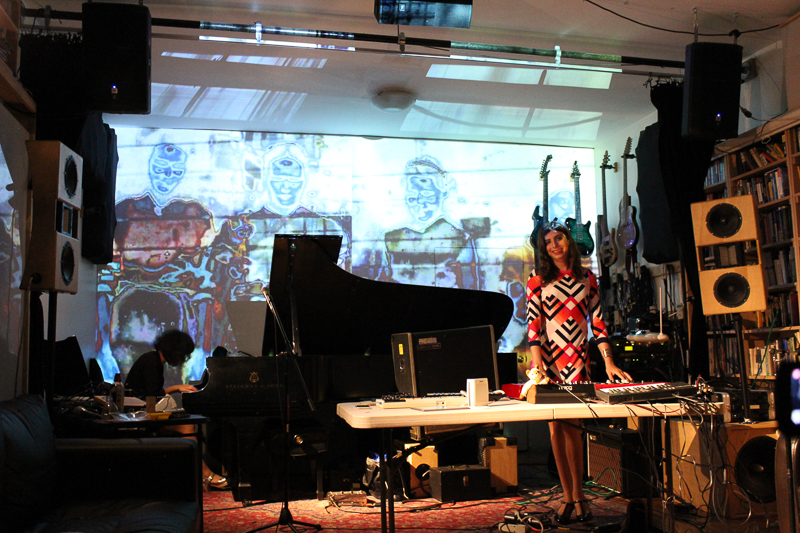 Amanda Chaudhary is a composer and performer specializing in contemporary and electronic music; an artist; and a developer of advanced software for creativity. She performs regularly around the Bay Area and beyond, both solo and with various bands and ensembles. 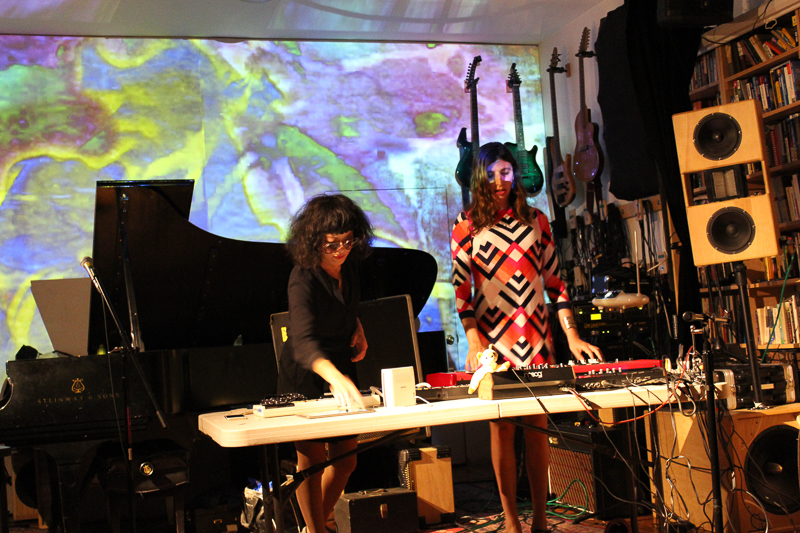 Her solo work involves experimenting with innovative sounds via analog synthesis and custom software with computers and mobile devices for new modes of expressive musical performance. She often incorporates folk and toy instruments from around the world, along with jazz, dance music and other idiomatic styles into her visually captivating performances. Born in London 1982, Jarvis Earnshaw spent most of his childhood in Japan, and graduated Bunka Gakuin Art School and is a graduate of the Pratt Institute. His musical career as well as his Art career has been recognized worldwide, having solo exhibitions, residencies and performances throughout Europe, Japan, India to New York and LA. 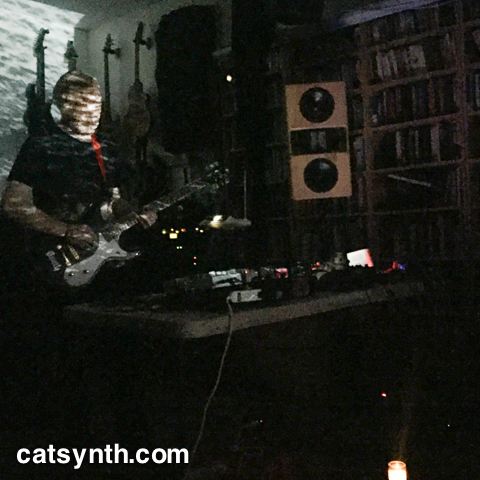 His work is often described as a cinematic experience, utilizing guitar, sitar and audio cassette tapes provoking memories of past and beyond, warm and rich as does the noise from a record needle touching an LP; at times violently explosive yet soothing and irresistible. Currently based in Brooklyn, New York, he has been engaged in numerous projects throughout the Art and Music scenes including performances and collaborations with: Walter Steding, Kenny Scharf, Amazing Amy the contortionist, Rumi Missabu of the Cockettes amongst many others, and currently also plays bass in the punk band Question. His photos have been featured in Asahi Camera Magazine, has had a solo exhibition at the New York Public Library Thompkin Sq. branch and will be performing at the Bruno Walter Auditorium/Lincoln Center on April 21st 2016 in celebration for the inauguration of the “Rumi Missabu Papers” to the NYPL. 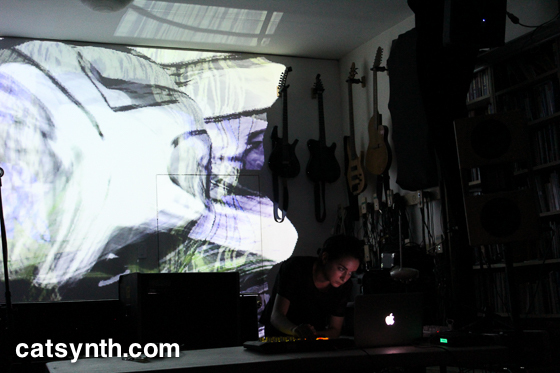 Jenn is a sound and experiential media artist based in Brooklyn. Her interests lie in modes of heightening emotional, social and sensory awareness through ambient soundscapes, multichannel composition, vocal experimentation, public sound intervention, and collaborations with dancers and filmmakers. She has installed and performed at venues such as Harvestworks, the MoMA PS1 Printshop, the New York Transit Museum, Reverse Gallery, Open Source Gallery, Club 157, for the Deep Listening Conference’s Cistern Dream Session, Brown’s OPENSIGNAL Festival, the Gallatin Arts Festival, amongst in everyday spaces such as the park archways and tunnels, garbage cans, street vents and stairwells. Basically, what a Fourier Transform does is decompose a signal (or any time-varying mathematical function) into separate frequencies. If you have a spectrum representation of a sound, this is output of a Fourier Transform. Similarly, if you have a graphic equalizer on your stereo, it can be seen as operating on a very low-resolution Fourier transform, as it allows one to raise and lower different frequency ranges of sound. For images, “frequency” corresponds to detail. Highly detailed areas of image that change from pixel to pixel are high-frequency, while areas of constant color or intensity are lower frequency. Another variant of the Fourier Transform, the Discrete Cosine Transform, or DCT, is more often used with images because it tends to put more information in lower frequencies. 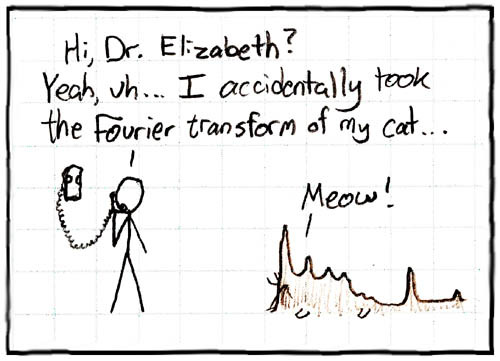 Theoritcally, one should not lose any information when taking a Fourier Transform of a signal (or image) and taking the inverse to retrieve the original. However, in Bennieston’s image, which applies two DCTs to the original image, results in the “ghost” that loses a bit of the original detail. Certainly, some is due to the rounding error when doing any calculations on the computer, but it seems like more than that. Most, likely, the DCT is more sensitive the boundaries, i.e., what happens at the beginning or end of a signal. DCTs are often used in “lossy” image and audio compression, such as JPEG for images. However, I have rarely seen them used in music applications, where one tends to see more general Fourier Transformations, which correspond more closely to an intuitive understanding of musical frequency. As such, it would be interesting to work with DCTs in a musical context and see what transpires. 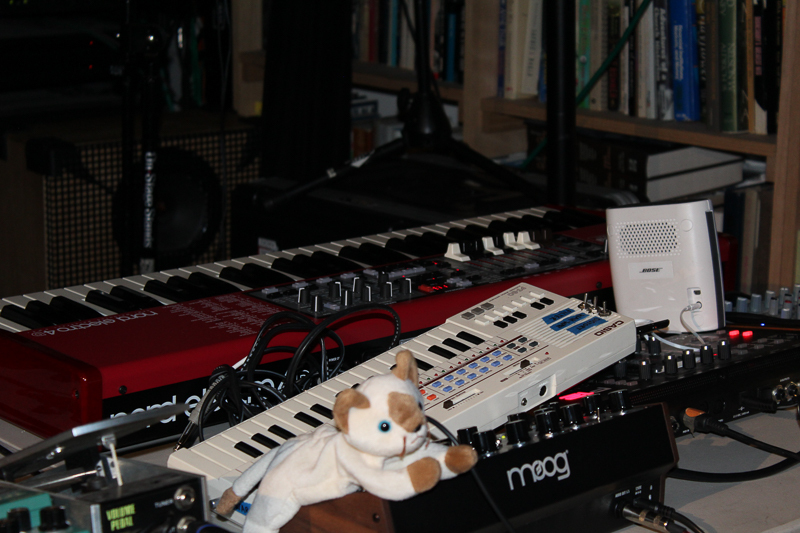 If we ever get around to this project, we will certainly post it here on CatSynth. This post is part of the Carnival of Mathematics which is being hosted this weekend by Logic Nest.